As of April 2016, our African Savannah Conservation Project in Kenya has been moved from the Kigio Wildlife Conservancy to the Soysambu Conservancy. 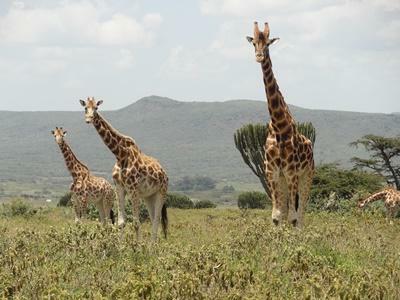 Over the past four years, our Conservation volunteers in Kenya have worked closely with Kigio Wildlife Conservancy to help collect data on the endangered Rothschild’s Giraffe. Projects Abroad has been able contribute to over 500 field surveys, amounting to over 5,000 hours in the field collecting giraffe behavioral data. This data has and will continue to be crucial in understanding the social and behavioral characteristics of the Rothschild’s Giraffe, and we are proud of our volunteers’ achievements on the reserve. With this information, the wider community can take practical steps to preserve this endangered species. Projects Abroad will ensure that this vital monitoring continues after the move to Soysambu Conservancy and we will work with the rangers and conservancy staff at Kigio to ensure the ongoing success of this project. Thanks to the hard work of our volunteers, we have also planted over 100,000 trees in Kigio’s neighbouring communities. Over the years, we have coordinated many outreach activities to promote the importance of establishing tree nurseries and have taught practical horticultural techniques to community members. We leave knowing that this knowledge will be passed on and that many thriving young trees are growing in the nurseries that we have established. Kigio will continue to benefit from donations by Projects Abroad, including a tracking camera, GPS tracking technology, and access to all data collected over our time working at Kigio Conservancy. By invitation of the Soysambu Conservancy, Projects Abroad is excited to start a new chapter in our conservation work in Kenya. Located in the Great Rift Valley, Soysambu is bordered by Lake Nakuru National Park to the west and the volcanoes of Ol Doinyo Eburru to the south. The reserve is home to more than 100 Rothschild’s Giraffes – some 10% of the population which remains in the wild today. The region is also home to around 10,000 mammals belonging to more than 50 different species. Projects Abroad is excited about the potential research breakthroughs that can be made by comparison of data from Kigio and Soysambu conservancies. Volunteers at the new placement will also have the opportunity to get involved in population studies, anti-poaching patrols, and wider community work. Volunteers can develop their skills in plants and animal identification and contribute to general maintenance of the reserve, ensuring that it is a safe and prosperous place for the wildlife to thrive. Together with our local team’s expertise, we are looking forward to taking on this new challenge and offering volunteers the opportunity to participate in this important field study. 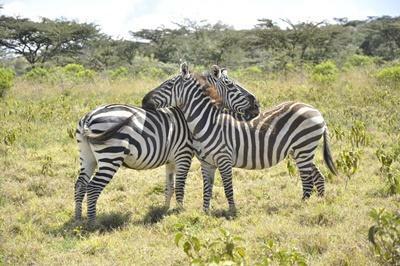 Find out how you can get involved with the African Savannah Conservation Project at Soysambu Conservancy.